Have you been eating your collard greens? 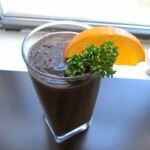 In my opinion this smoothie is one of the best uses for this nutritious leafy green. Sadly underrated, collard greens are as health promoting and delicious as kale. While I myself love kale, I can’t eat it everyday. Oh no, there are too many other dark leafy greens to devour! And if you’re greedy for nutrients like I am, you’ll be getting more if you rotate your greens. Kale, collards, chard, spinach, parsley, cilantro, dandelion, beet greens; so many options! Being from the south, collard greens have always been a huge part of my diet. My Nana prepared them often by sauteing them in butter with garlic, chili flakes and smoked turkey neck (before she gave up birds!). She would cook them for an hour until the greens became tender and rich; the smoky flavor from the turkey mingling with the spice from the chili was a treat. It wasn’t until I discovered the world of healthy eating that I was introduced to the fact that this wonderful green can be eaten raw, or minimally cooked. We had been consuming collards that were not as full of vitamins and minerals due to the long cooking processes. Collard greens, like kale, are one of the most nutrient dense leafy green. They are a great source of calcium, vitamin K, vitamin A, vitamin C, folate and more! 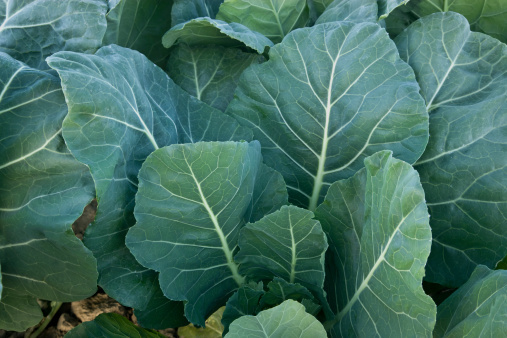 Collards are wonderful for cancer prevention as they support the bodies ability to detox, are high in antioxidants and are a powerful anti-inflammatory food. It’s one of my favorite vegetables for it’s delicious flavor, incredible health benefits, versatility and emotional attachment. Collard greens will always make me think of my Nana and home, even when I juice them, or smoothie them, steam them or use them as a raw wrap. 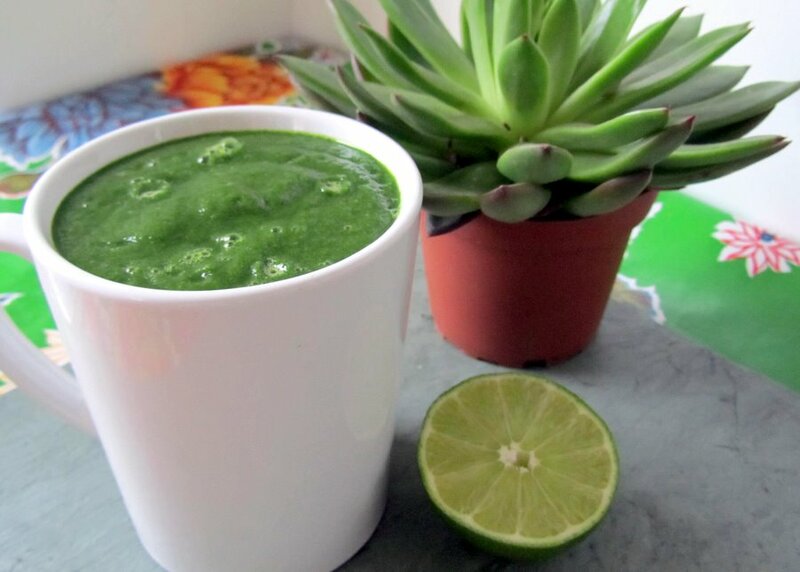 I love these greens! p.s. 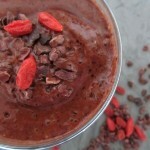 this is one of my all time favorite smoothies. It’s rich and sweet, and is full of exciting and delicious flavors! 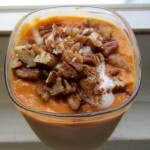 Place all ingredients in a high speed blender, placing the heavier more liquid contents at the bottom. This includes the pineapple, cucumber and mango.